Niue is an island in the South Pacific Ocean, east of Tonga. Niue's remoteness, as well as cultural and linguistic differences between its Polynesian inhabitants and those of the rest of the Cook Islands, have caused it to be separately administered. The population of the island continues to drop (from a peak of 5,200 in 1966 to an estimated 1,492 in 2007), with substantial emigration to New Zealand, 2,400 km to the southwest. Niue is an island nation located in the South Pacific Ocean. It is commonly known as the "Rock of Polynesia." Natives of the island call it "the Rock." Although self-governing, Niue is in free association with New Zealand, meaning that the Sovereign in Right of New Zealand is also Niue's head of state. Most diplomatic relations are conducted by New Zealand on Niue's behalf. Niue is located 2,400 kilometres northeast of New Zealand in a triangle between Tonga, Samoa, and the Cook Islands. The Niuean language and the English language are both taught in schools and used in day-to-day business and communications. The people are predominantly Polynesian. Niue was administratively part of the Cook Islands until 1922. 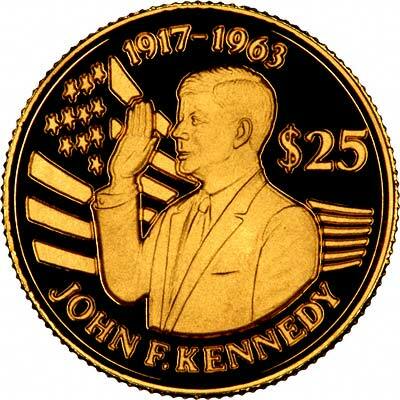 Niue issued its first coins in 1987, including its first gold coins. 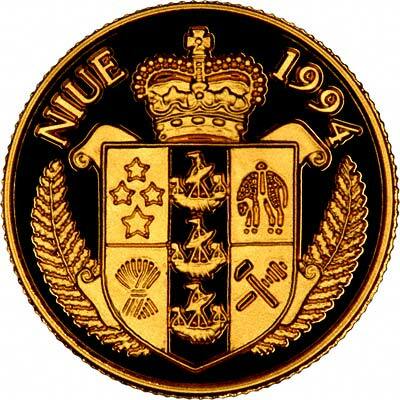 For silver and base metal coins of Niue, please look at our original Chard Coins website.